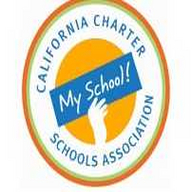 The 15th Annual California Charter Schools Conference was created in 1993 by the very first charter school leaders in our state. The first conference was held in one meeting room. This year we expect more than 2,000 attendees. Since 1993, this has been the most important event of the year for the charter school community to share ideas and inspire one another. We will have spectacular keynote speakers, student performances, networking parties and more than 150 breakout sessions focused on "Sharing Our Success." For more information, please visit: www.charterconference.org.